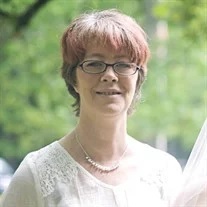 Melissa Day Morrison, 44, of Flintstone, went home to be with her Lord and Savior on Wednesday, March 13, 2019 after a courageous battle with cancer, and was surrounded by numerous family & friends. She had lived in the North Georgia area for most of her life, and graduated from Ridgeland High School. She enjoyed life and was truly happy with how she lived out her days on this earth. She had a true passion for her love of animals and had many pets throughout the years. She loved spending time with her family & friends, but of course her grandchildren, Daniel, Ryeder and Kobi Morrison always brought her to new life. She loved being with her life partner, Billy Strickland and was a loving and devoted daughter, mother and grandmother, that will be truly missed by all who knew her. She leaves behind her parents, Larry “Moe” and Dixie Hunter; sister, Tracey Gardener; three children, Dylan & (Maranda) Morrison, Kara & (Dakotah) Owens and Jessie Morrison; and numerous extended family & friends. Celebration of Life services will be held at 4 p.m. Sunday, March 17 in the Fort Oglethorpe Chapel, with Bro. Mickey Headrick officiating. Burial will be private. The family will receive friends from 2-4 p.m. on Sunday at the funeral home.